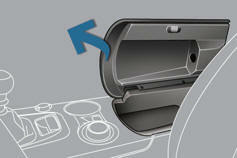 Comfort and storage device for the driver and front passenger. Raise the cover on the left. A ventilation outlet distributes cooled air.